It promises to be the hearing of the decade. 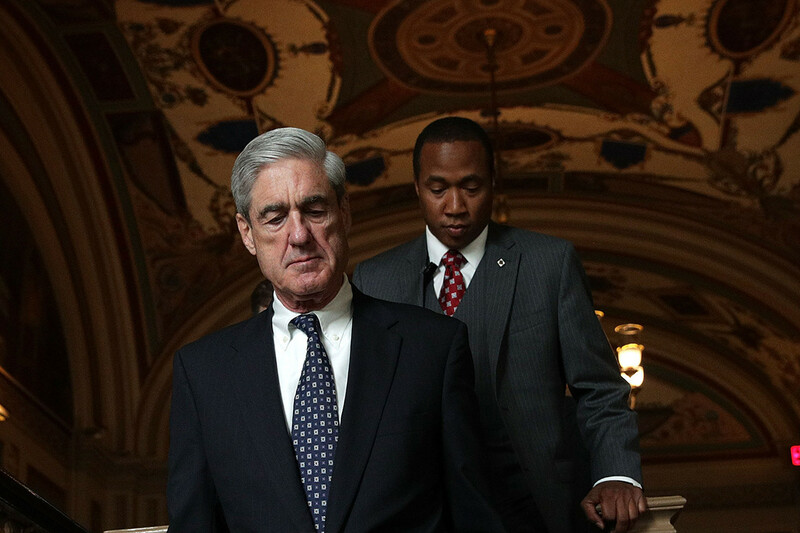 Sometime after special counsel Robert Mueller privately submits his final report on 2016 Russian election interference to the Justice Department, House Democrats plan to summon him to Capitol Hill to testify on his findings before the television cameras. Expectations will be sky high that the Sphinx-like Russia investigator might reveal incriminating — possibly even impeachable — new evidence about President Donald Trump. Those expectations would be wrong. Instead, the by-the-books former FBI director is unlikely to stray from the findings detailed in the public version of a report the special counsel must submit to Attorney General William Barr, according to interviews with more than a dozen current and former DOJ officials, legal experts and lawmakers from both parties. It’s a result that could frustrate Democrats, who are concerned Barr won’t release all the information they want about the Russia investigation. And if Mueller has concluded that Trump and his campaign are in the clear, the testimony could even backfire on them, fueling the Republican attack line that Democrats are obsessed with trying to throw Trump out of office with spectacle hearings that produce few revelations. Some GOP lawmakers even told POLITICO they’re chomping at the bit to turn the tables on Mueller at a hearing and press him about a probe they saw as biased from the start. “My suspicion is he’ll pretty much say, ‘My report is what I have to say and there’s nothing really to add to it,’” said Texas Sen. John Cornyn, a senior member of the GOP leadership. That’s not the current game plan. Top House Democratic committee leaders, including Judiciary Chairman Jerrold Nadler and Intelligence Chairman Adam Schiff, say they’ll seek Mueller’s public testimony if Barr releases anything short of a complete version of the special counsel’s findings. “We certainly would not take that off the table,” Schiff said Tuesday during an event hosted by the Christian Science Monitor. There could even be a scramble to hear first from Mueller that spills across the Capitol to the Senate, where Judiciary Chairman Lindsey Graham said he, too, is waiting for Barr to deliver the special counsel’s findings before deciding whether to seek Mueller’s public testimony. “I’ll let you know when I get it,” the South Carolina Republican told POLITICO. By any measure, the buildup for one or more public Mueller hearings would be enormous. Take former Donald Trump lawyer Michael Cohen’s testimony last month before Nadler’s House panel. Then multiply it. Exponentially. The anticipation stems in part from Mueller’s decision to not utter a single word in public about his investigation into Russian interference in the 2016 election, a change from prior prominent special prosecutors like Starr and Archibald Cox, the original lead Watergate investigator. Once Mueller’s work is done, however, the calls for him to comment will grow. People who know Mueller — the special counsel’s office declined comment for this story — expect he’ll avoid media interviews and rebuff offers to pen a tell-all book. But dodging a summons from Congress is another matter entirely. “He’s such an important public figure and I think at some point he will be asked,” said a senior DOJ official who noted that Mueller’s 12 years of experience as FBI director and holding other high-ranking law enforcement positions have prepared him well to handle another grilling from lawmakers. As a special counsel, Mueller would be in largely uncharted territory when it comes to testifying before Congress. The last high-profile independent investigator, Pat Fitzgerald, didn’t even write a report upon the conclusion of his George W. Bush-era probe into who leaked undercover CIA operative Valerie Plame’s identity. And when Fitzgerald did go before Congress in February 2008, it happened nearly a year after his work was largely done and only in the context of a broader House subcommittee hearing examining the DOJ regulations used to launch investigations into the executive branch. During Watergate, neither Cox nor Leon Jaworski — who took over the probe after President Richard Nixon ordered Cox’s firing — ever testified before Congress as it weighed impeachment proceedings against the Republican president. (A federal grand jury did send the House Judiciary Committee a so-called “road map” summarizing the evidence that Watergate prosecutors helped assemble). Starr took a different approach, running straight into a partisan battle when he spent 12 hours answering questions from the GOP-led House Judiciary panel in mid-November 1998, just weeks before it voted to impeach President Bill Clinton. The all-day hearing — coming about two months after Starr issued his salacious report describing the president’s sexual affair with a White House intern — included Clinton’s personal lawyer sharply questioning the investigator and concluded with Republican lawmakers and staff giving Starr a standing ovation. Congress to this point has largely tiptoed around Mueller, whose end game still remains uncertain nearly two years into a probe that has included criminal charges filed against several longtime Trump associates and expansive indictments detailing Russian interference in the 2016 White House campaign. Mueller is also examining whether Trump obstructed justice in the firing of FBI Director James Comey.